There is an art to make Roti Bunz increasingly different and unique, and it starts with our secret recipe. Our chef will see and give meticulous attention to detail the process of making bread. Any bread carefully coated in a beautiful concentric circles that famous caramel topping, coffee and vanilla and blackforest. Twice baked, emerges from the oven Roti Bunz as a small pillow delicious, aromatic paradise: crisp and crunchy on the outside, soft, buttery and rich on the inside. 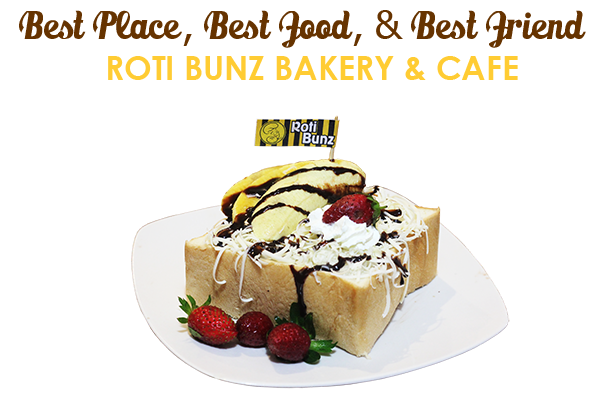 Enjoy Roti Bunz while still warm and fresh from the oven while. Roti Bunz is food that can be served as a main meal or snack. Roti Bunz is nutritious and can be enjoyed during the morning, afternoon, or evening. Roti Bunz very tasty to be enjoyed. Do not miss to try to bite the softness of the bread. And remember always delicious sensation!